Sometimes, it seems like chicken breasts get to have all the fun. They’re talked about as a lean, skinless, boneless, easy white meat that’s good for your body. That’s all true, but we in the Paleo world know it doesn’t have to be that way. That crispy, skin-on chicken thigh can be just as great for your body, and you can make it taste amazing in a thousand different ways. The recipes I’m about to share with you showcase what’s awesome about these babies. This awesome kale salad with a juicy chicken thigh has ingredients like ghee, cashews, Dijon mustard, shallots, and red wine vinegar (you can substitute apple cider vinegar if you need to). It’s savory and rich with umami flavors, and so good for your body, too. 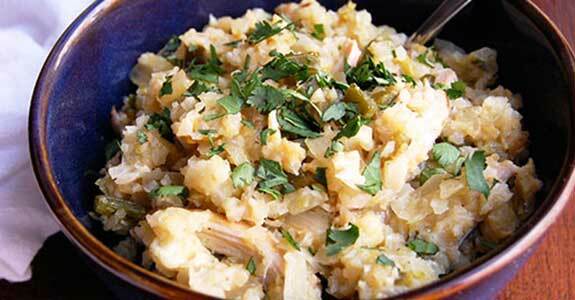 Use up your supply of chicken thighs with this amazing recipe that combines green chile flavor and serves it up with a side of cauliflower rice. A great meal for any night of the week where you don’t want to spend a lot of brain power on what’s for dinner. This easy hash with bacon, chicken thighs, onions, kale, and cooked spaghetti squash would be perfect for breakfast, lunch, or dinner. 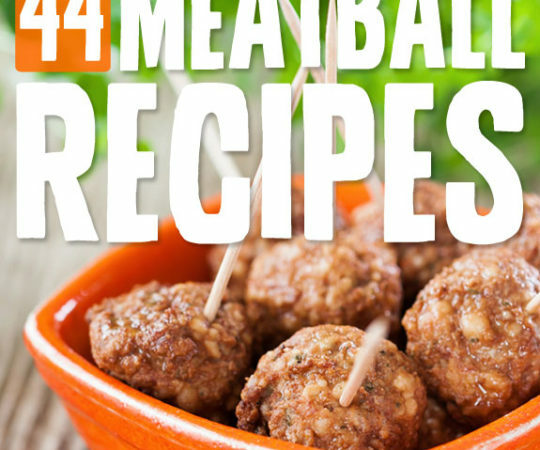 I love recipes that are so versatile they can be eaten any time, with anyone. This one also has bacon, and who doesn’t love bacon? These thighs have a super-crispy outer layer (bound to happen when you’re using chicken with the skin on!) and a tasty glaze/bed made with garlic, freshly ground pepper, chicken broth (with healthy gelatin), clementines, orange juice, and nutrient-packed lacinato kale. My favorite part of this recipe is the tzatziki sauce, which is usually yogurt-based, but in this recipe, it’s made from young coconut flesh, cucumber, olive oil, mint leaves, dill, and garlic. It’s perfect with the slightly sweet, slightly spicy and peppery grilled chicken. I love Moroccan food because the cuisine often uses flavors and spice combinations that are very different from what many of us are used to. This chicken has a fantastic sauce of tomatoes, apricot puree, lemon, sweet paprika, fresh ginger, almond butter, and other flavors. 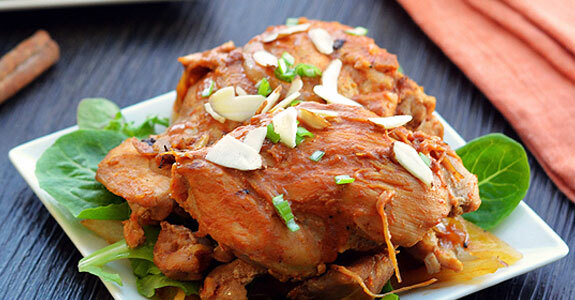 This aromatic and slightly floral chicken is cooked with plenty of garlic and cinnamon, thyme, pepper, almonds, and mint, and is completed with a chili-and-pomegranate-molasses dressing that’s just as spicy, sweet, and flavorful. This is a unique recipe you have to try. These are the perfect thighs when you want the taste and texture of barbecue chicken, but the weather’s not cooperating, or you just need a simpler solution. The coconut aminos, ghee, raw honey, cumin, and chili powder give the chicken the perfect barbecue flavor without the grill or pre-made sauce. 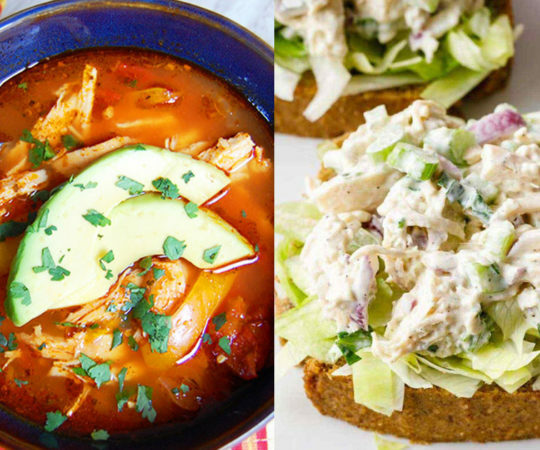 These thighs are so easy, you’ll want to make them for dinner tonight. All you’ll need besides your chicken is some raw honey (local is best), whole-grain mustard, and ground ginger. The flavor of these is spicy, sweet, and savory all at once, and they’re super sticky in the best way. No complicated ingredients or unusual techniques in this recipe—just pure, aromatic seasoning and good, old-fashioned grilling. This chicken is dusted in a mixture of salt, pepper, garlic powder, onion powder, oregano, turmeric, chili powder, and paprika. This complete meal is made with chicken thighs, chicken sausage, tomatoes, butternut squash (healthy carbs! ), kale, chicken stock (healthy gelatin! ), and other vegetables and delicious seasonings. The squash helps to keep it nice and thick and hearty, just like any good stew should be. These sliced chicken thighs are wrapped up around layers of sun-dried tomatoes and brightly flavored pesto. 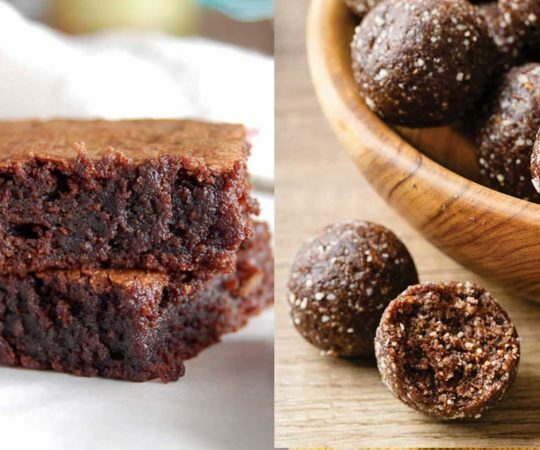 You could serve these with cauliflower rice or your favorite roasted vegetable, or just eat them alone as a quick and healthy, protein-rich snack. I’m a huge fan of anything cooked with butter, and adding the goodness of lemon, rosemary, whole-grain mustard and honey (preferably raw and local) makes this recipe just that much better. 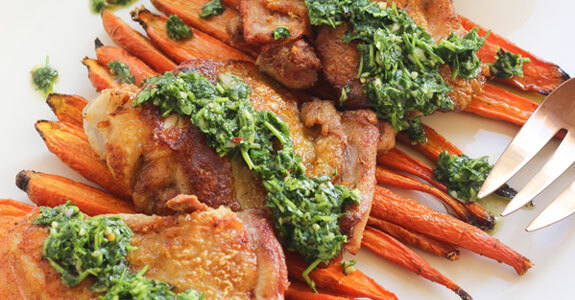 These chicken thighs are savory and sweet, with a crispy skin layer. 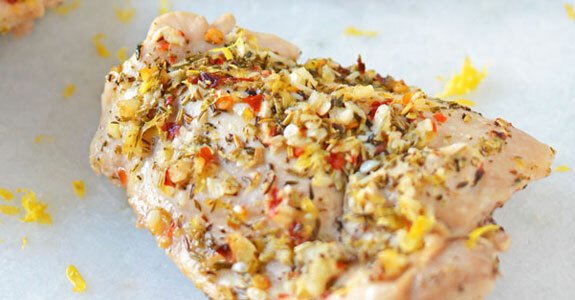 Crusty chicken is my absolute favorite, and this chicken’s crust, being made of lemon, olive oil, dried herbs, and garlic, couldn’t be more flavorful. The crushed red pepper is optional because it does provide a kick, but you could reduce the amount if you’d like. It adds nice heat and color. I love citrus with chicken, especially when blood oranges are involved. They have such a unique flavor that has notes of something almost floral (and of course, the color!). The pomegranate molasses and olive oil/allspice give this chicken an exotic flavor. While fancy flavors of pomegranate and citrus are lovely, sometimes you just want that tasty honey mustard chicken you used to eat in much less nutritious forms before you went Paleo. 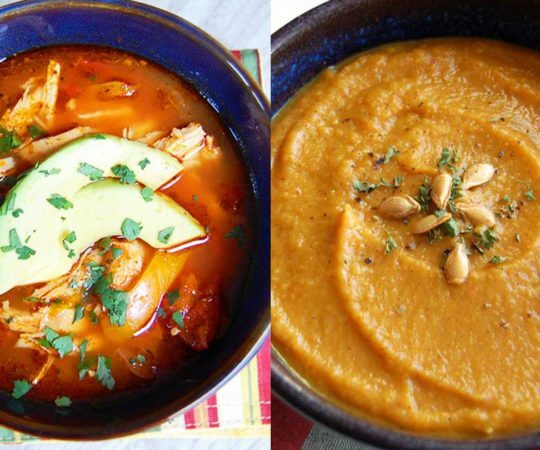 This easy recipe can help you recreate that flavor in a way that nourishes both body and soul. 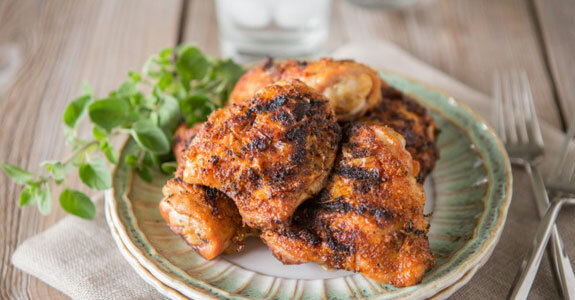 This simple but delicious spicy chicken thigh recipe uses chipotle powder (smoked is my favorite), dried oregano, paprika, garlic powder, fresh lime juice, and freshly ground pepper and sea salt. Easy-peasy on the grill at your next summer barbecue or Saturday night. This simple recipe makes a great easy meal if you pile it on top of some roasted vegetables, like the carrots in the picture. Yum! The chimichurri sauce and the buttery, peppery chicken are both included here, though it’s the chimichurri that really makes this meal what it is. This chicken is cooked in a thick sweet-and-sour sauce made with grainy mustard, date paste, coconut aminos, rice vinegar (or any vinegar of your choice), ground ginger, garlic, chili peppers, and other flavors and seasonings. The best part is that it’s baked, so that means less work for you! The complex flavors of Thai chicken are happening here with coconut milk, fresh cilantro, ginger, coriander, coconut palm sugar, basil, lime, and other fabulous ingredients. 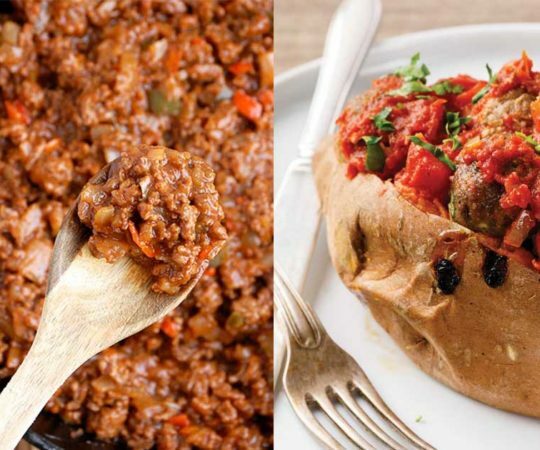 If you’re into freezer meals (and why wouldn’t you be?) 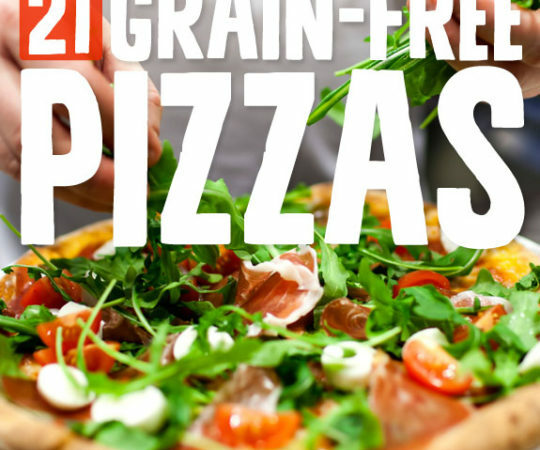 this one is easy to make ahead and reheat later. I love sheet pan dinners, because weeknights (and days!) can be busy in my house, and while I love to be in the kitchen, it’s nice to spend that extra time with my family when I can. This sheet pan with sweet potatoes, other root vegetables, and rosemary chicken thighs helps anyone do just that. 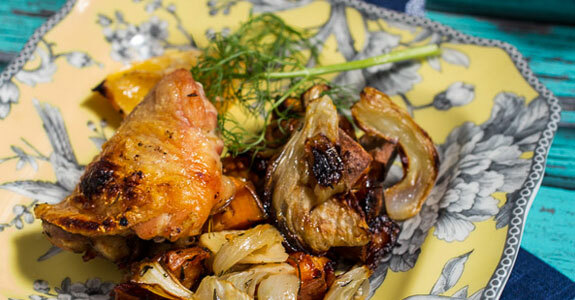 This easy weeknight meal covers your protein (lemony roasted chicken thighs), your healthy carbs (sweet potato) and the delicious and intensely flavored fennel, which adds a fresh, spring-like taste to the sweet potatoes and chicken. With modest spices like fresh thyme and salt/pepper, it’s a wonder you don’t make this more often. This it, the ultimate foolproof crispy roasted chicken thighs recipe, with just coconut oil, salt, and pepper. You’re welcome to add other seasonings and flavors as you wish, but it’s not necessary, as this is totally delicious as is! This amazing chicken has two rounds of skin crisping, which involve tucking seasoned butter under the skin. Can you imagine anything tastier? Neither can I. This dish also happens to be a full meal with tomatoes and peppers hanging out and getting saucy underneath. Great roundup! Thanks for including my Roast Chicken Sheet Pan dinner! 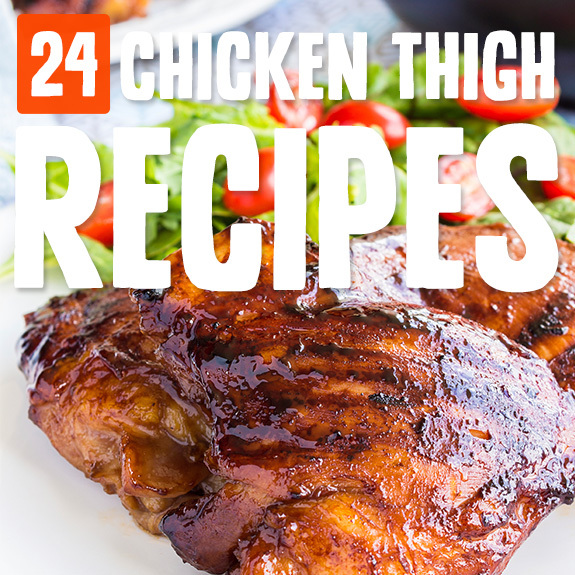 I love chicken thighs and all these look so good! Pinned! Glad you enjoyed the roundup! Thanks for including my Easy Thai Baked Chicken!